Earlier today, we shared the progress of our fog harvesting project and a new initiative to use fog water for reforestation in Southwest Morocco. Protecting and promoting ecosystems in this region of the world is a vital part of Dar Si Hmad's identity, given the area's amazing biodiversity and incredible position as an ecological crossroads. On today's International Day of Forests, Dar Si Hmad celebrates our Moroccan heritage - not only environmentally, but culturally. For 21 March is also recognized by the United Nations as World Poetry Day. 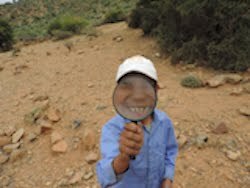 Morocco's position as an environmental crossroads is echoed in its rich history of cultural exchange and cross-words. Poetry has long been the way in which humans have attempted to put in words the human condition, with all its happiness and sadness. As UNESCO's Director-General Irina Bokova says, today "recognizes in poetry its value as a symbol of the human spirit's creativity. By giving form and words to that which has none – such as the unfathomable beauty that surrounds us, the immense suffering and misery of the world – poetry contributes to the expansion of our common humanity, helping to increase its strength, solidarity and self-awareness". Morocco’s relationship with poetry has been shaped and determined by its geographical position in northwest Africa as a crossroads between the European and African continents and the greater Arab World, spanning across the Maghreb (North Africa) and the Middle East. Much of the poetry that has manifested in Morocco has been created through the mixture of poetic styles that come through this vast region of the world. Historically, Morocco was the passageway into al-Andalus, the medieval Muslim territory that encompassed most of present-day Spain and Portugal from the 8th century to 15th century BC. One can say that Morocco is a semi-permeable membrane, in the sense that many cultural influences come and go through the country, yet its original national character remains and the state holds its own shape and identity even as it changes constantly through time. While there is an exhaustive list of poetic styles present in Morocco, we will highlight three ones that have withstood the test of time and remain a staple of Moroccan poetry and prose: muwashahat, traditional gnawa music, and contemporary poetic forms of expression in the Moroccan Arabic dialect, Darija, and French. Muwashahat is a traditional poetic form written in classical Arabic which typically consists of five stanzas, alternating with a refrain and running rhyme. While in the Middle East the traditional muwashah form is respected, poets from North Africa are known to take more creative liberty when undertaking the arduous task of meticulously crafting verses replete with meaning. Many muwashahat are rendered into musical form and were popularized in the modern era when they were recited by some of the most famous Arab musician such as Fairouz, Katham as-Sahar, Lena Chamamyan. A traditional Amazigh (Berber) musical form, gnawa is one of the most ancient forms of musical expression present in Morocco. 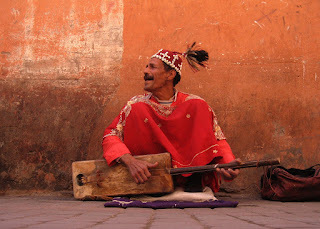 Gnawa is distinguished by its ritual chants that are communally repeated for minutes to hours on end. It has long been a tradition that communities would gather together to listen to the gnawa chants and accompany the mesmerizing rhythmic chants with musical instruments, including the guembri, a guitar-like stringed instrument. 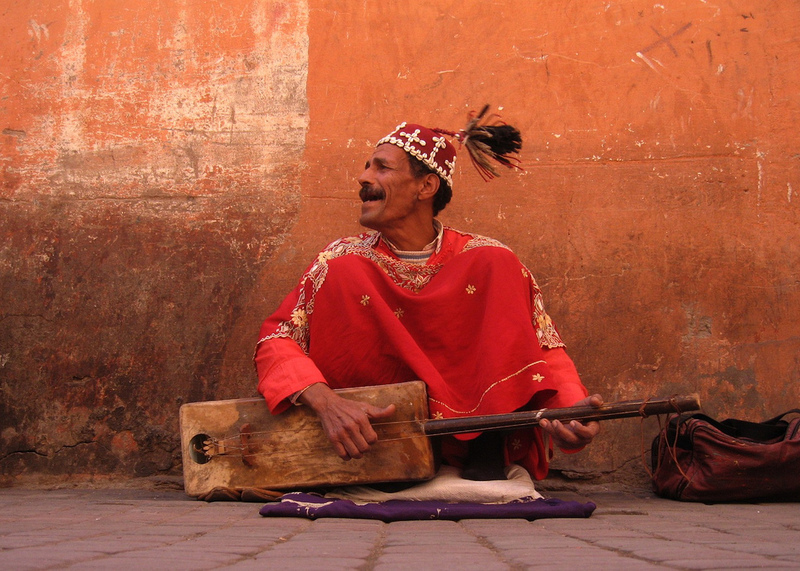 Today, gnawa as a genre of Moroccan music has been widely popularized by artists such as Mahmoud Guinia. But in its nascent stages, gnawa was a poetic form that was used to express the human condition and suffering. Many contemporary poetic forms in Morocco are expressed by young and old poets alike in Modern Standard Arabic, the Moroccan Arabic dialect (Darija), and French. Famous Moroccan writers like Tahar Ben Jelloun and Fatima Merinissi have expressed themselves not only in prose but also through poetry. 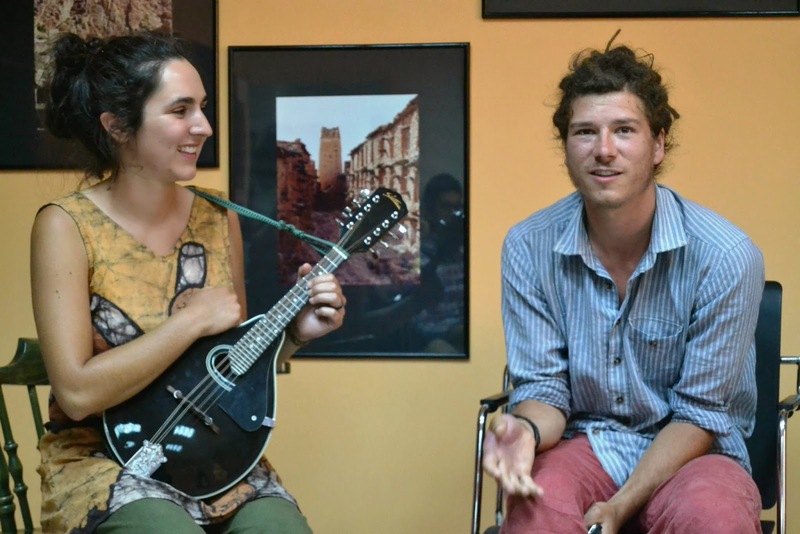 Many young Moroccans have used the liberty provided by their multilingual background to chose the way in which they will express their inner emotions poetically. Some poets write multilingual poems, switching between languages on paper as easily as they do in conversation. Other Moroccan poets write exclusively in Arabic, believing that the richness of the Arabic language creates an ability to express things that French cannot. Social, political and religious motivations also impact language choices in Moroccan literature. This brief exploration of some of the poetic styles in Morocco from its history to the modern area only grazes the surface of Morocco's rich literary history. Arab and Amazigh (Berber) culture has traditionally been an oral culture, with stories and poetry being passed down from generation to generation. In order to preserve and promote Morocco’s rich poetic and prosaic history, Dar Si Hmad has a variety of programs supporting local culture and protecting heritage. A manuscript project collects and preserves texts from the Aït Baamrane region, many of which are hundreds of years old and in scripts only a handful of linguistic experts can decipher. Protecting these manuscripts involves collaboration with universities and research centres around the world along with Amazigh villagers in Southwest Morocco's mountains. Fast forwarding through nearly one thousand years of written and oral traditions to the digital age, Agadir Rising, an online zine entirely created and produced by the RISE program’s Journalism Club, has created a platform through which current college students and recent graduates from the Agadir area express themselves creatively through through poetry and prose. One of our RISE participants, Abdullah, recently wrote a poem using the intricate poetic form, typical of many muwashahat poems, where the last letter or syllable of every line is uniform. Follow the journalism club on Facebook for updates and to see our young artists' work. In our offices in Agadir, Dar Si Hmad regularly hosts visiting artists and poets for special events and meetings with our Ethnographic Field School groups. 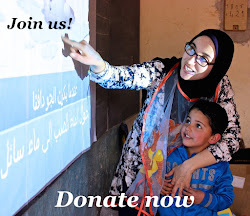 Previous partnerships have included 100 Thousand Poets for Change, a US-based project using poetry to promote peace, sustainability, and socio-political change. California poets Michael Rothenberg and Terri Carrion came to Morocco for the first time in 2014 to visit Dar Si Hmad and share poetry in four languages. This World Poetry Day, Dar Si Hmad salutes Abdullah, Fatima, and every other poet around the world who has used words to express and share their experiences of the world. There is a power in poetry. We are proud to learn from and help remember that power.